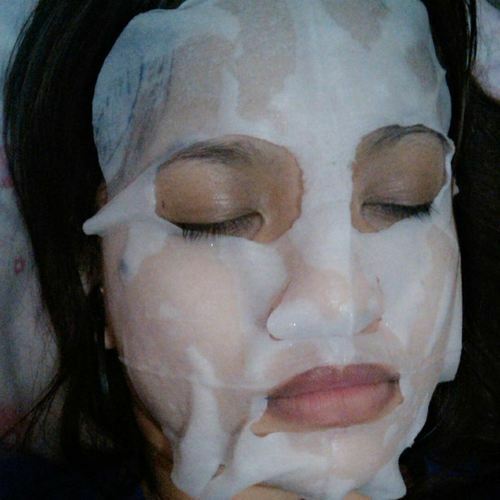 I’ve been using this Pomegranate mask sheet for almost two years now. I first tried this on 2012, and I love the moisturizing effect it brings on my face. 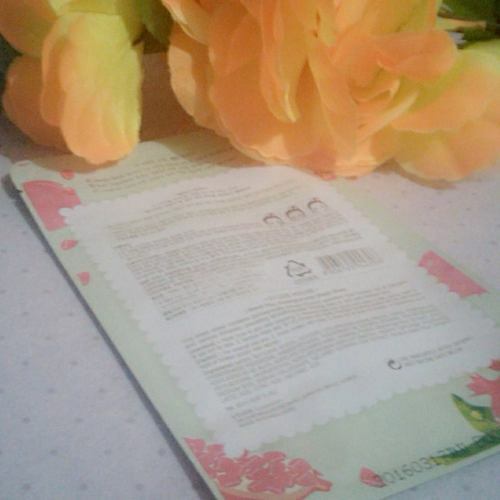 Actually, there are other mask sheets available at Etude House that I have also tried, but this one is my favorite. I am mesmerized by the cuteness of all Etude House boutiques because of its pastel pink theme, that is why I love strolling inside and looking for products that I can review. Actually, they changed packaging already, but it’s nicer than the packaging before. I love taking care of my skin, especially my acne prone face skin, that is why I’ve been trying several products just to make my skin look nicer and fairer. This mask sheet contains pomegranate extract full of Estrogen and various minerals, providing smoothing and firming care to dull and lifeless skin. Packaging is not a big deal for me, but it’s a plus for me when I look at products I’m going to buy. 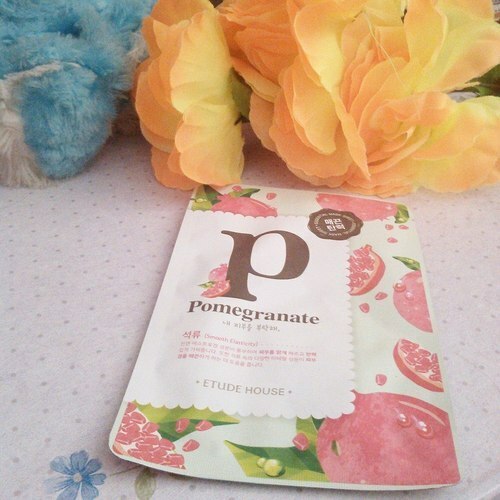 Everything is cute in Etude House, but the Pomegranate mask sheet attracted me so much. It has a mild sweet fruity scent since it’s made of pomegranate extract. That, I love! I love fruity scents. It’s oily since there is excess solution. According to the Etude House saleslady, this product can be used only once. 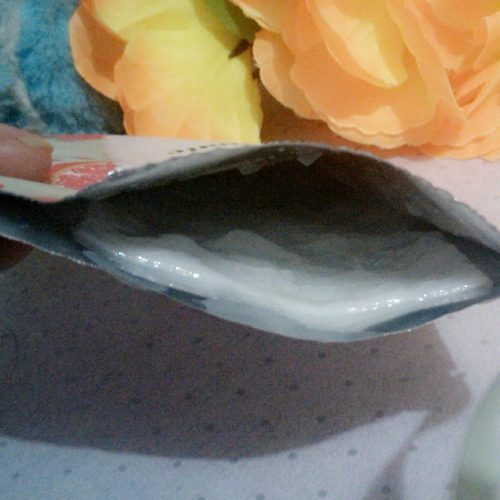 But I use it twice, since there is excess solution inside that can still be used again. It didn’t fit my face, hihi. It has best results when applied after washing face, and before bedtime because face will feel smoother and moisturized. I can feel the solution dripping all over my neck, but it’s fine because I will still massage it after 15-20 mins per package direction. It’s cool when applied to the face. 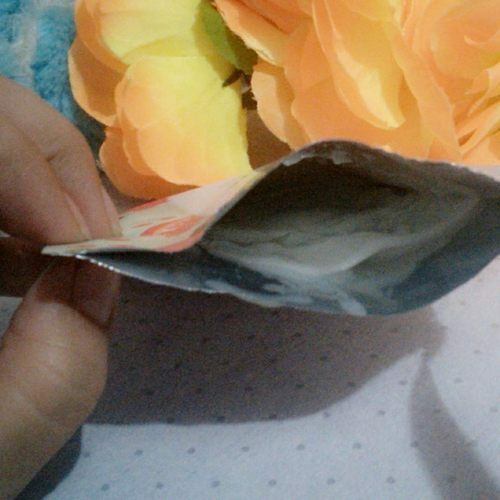 When removed, you can feel greasy, but when smudged, you will feel like you just put lotion on your face. Because it’s cold, you will feel that your skin became smoother and moisturized.